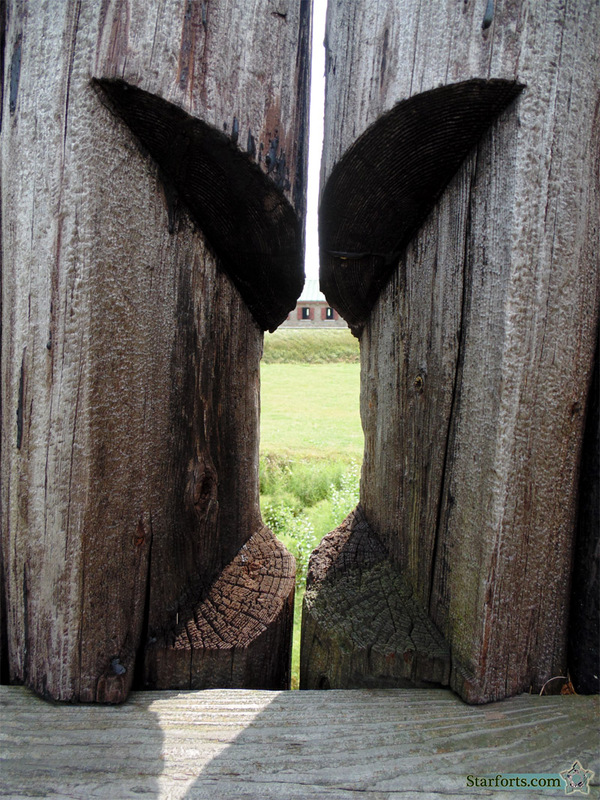 Fort Erie's bastions were built to serve as individual little fortificationlets should the need arise: Witness a firing loophole, covering the fort's terreplein. Yes, I'm calling it the terreplein now. As I said, you have to call it something.